We all have that personal favourite hang out spot, where we can just let go and feel uninhibited to be ourselves. A place where we can furtively dig our nose when we feel like no one's noticing, read our dog-eared favourite book for hours or stare at the window, daydreaming away.Who cares if you wear your holed and tattered casual home t-shirt? 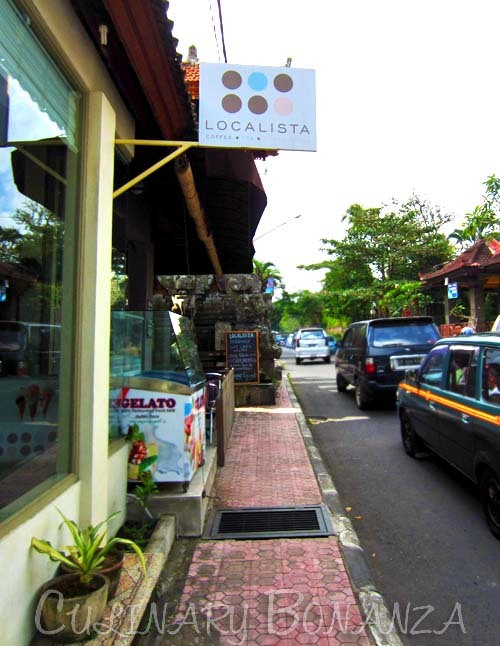 Localista Cafe at Ubud is a picture-perfect spot for one such spot I was talking about. It is located on Jalan Suweta, adjacent to Puri Ubud. This street gets less crowded uphill, hence the less traffic compared to the intersection further down. I picked the Iced Latte and I love it! It was served in a tall glass and the simple sugar came separately. I found out that they use Caswell's coffee, a local brand of premium coffee that sourced the ingredients in Indonesia. The Latte was sweet enough for a coffee that I didn't need to add a single drop of the simple syrup. The best-seller here is the Boston Cream Cupcake, which is chocolate sponge cake with custard filling and topped with a dollop of chocolate butter cream. So I picked this one, but gluten-free version. Not knowing what to expect, I could only say gluten-free will not make it on my list of favourites. The sponge was hard, and brittle, and the custard filling was very dense and hard, it seemed more like white chocolate, than custard. As far as I know, custards are supposed to be that creamy stuff that is scoop-able and melts in your mouth, right? Someone please correct me if I'm wrong! Another bug in my mind: what made the colour of this cake so deep (almost black)? Perhaps the basic version would be much more appealing to my taste buds. Seeing that there's still 3/4 left of my Latte, I decided to try my luck with another cupcake, this time a mini one. 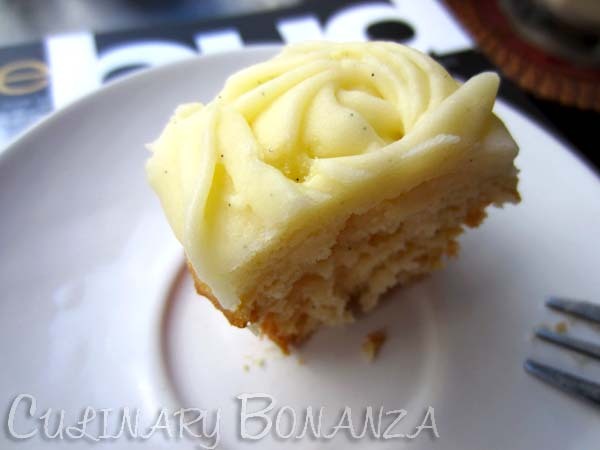 So I picked the mini Vanilla Cupcake with Lime icing. This, unfortunately, didn't work any magic either. The cake was hard and very dry. I am known among my friends to be able to survive an entire meal without drinking. 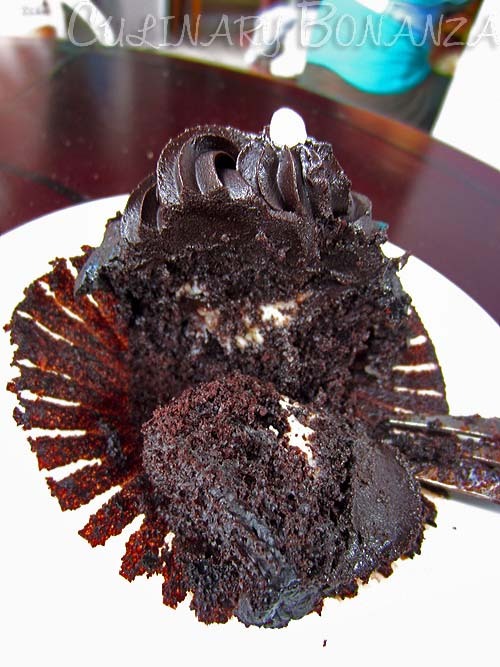 However, to down the two cupcakes, I had to seek help from the Late, just to illustrate how unpleasant they were. I was disappointed, because I had expected more from the cupcakes, because I had previously seen the photos on the facebook, twitter and the website. They all looked so luscious and even celebrities like Bondan Winarno, Nadya Hutagalung, etc had been here and became fans. I had expected a certain standard of Localista to have attracted this crowd. 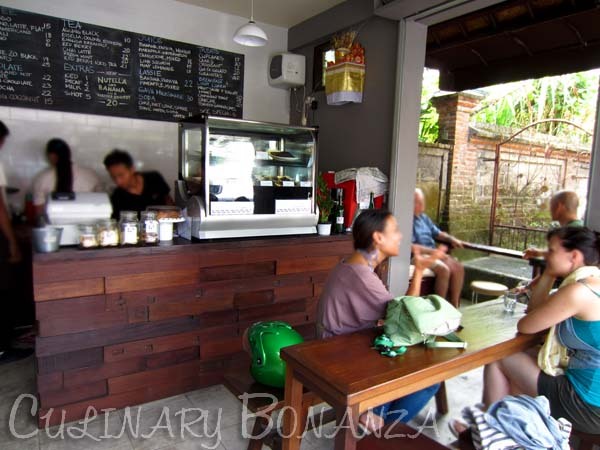 I would come back for the coffee here (I didn't see many Cafes around in Ubud downtown) and try other treats on the menu, like the Quiches or the Toasted Sandwiches or maybe give the cupcakes another shot, given that I see them freshly delivered to the store. But I will, stay clear off the gluten-free cakes. 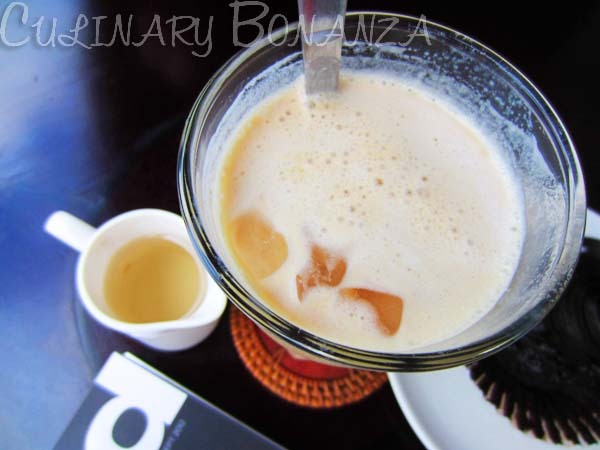 Love: Locally sourced ingredients, coffees and teas. Reasonable price. Good coffee in Ubud. For complete list of flavours, click here. *) No Tax or Service Charge.